The Magellan SWITCH HRM is a sleek fitness watch with Heart Rate Monitor designed primarily for running, cycling, swimming and other outdoor activities. This sleek fitness watch plus workout tool tracks your time, heart rate and calories burned with wireless heart rate monitor. The switch boasts advanced training tools, such as activity pacer which not only shows the targeted progress but also specifies targets to attain original goal so as to improve your performance. With its wireless ANT+™ technology, which allows it to connect to other ANT+ compatible devices, like the included heart rate monitor, optional foot pod, or even ANT+ compatible fitness equipment. It has a high-resolution display that provides readability in varying light conditions – especially bright light. Now you can upload, view and store activities at the Magellan fitness website as well as other leading fitness sites. The Switch features customizable activity screens with over 80 data fields to choose from, 9 activity profiles to save device configurations based on activity type, auto lap, auto pause, backtrack navigation, marking locations, activity history, and more. Embedded ANT+ technology receives data from Magellan and any third-party ANT+ sensor, including heart rate monitors, foot pods, bike speed/cadence sensors and power meters. Set your desired distance, time, and speed/pace, and Activity Pacer will not only show if you're on target throughout the activity, but it will instruct you with specific targets to attain your original goal. Record multisport activities as one workout and log transition time in the process, providing triathletes with a complete picture of their race from start to finish. Configurable display with up to 9 data screens and up to 6 fields of data per screen. Set alerts based on current or cumulative training metrics, including time, distance, speed/pace, calories, heart rate, cadence and power. Empower your watch to do more with Auto Lap by distance, time or location, Auto Pause and Auto Power Off. Mark locations, save locations or navigate back to the starting point with the basic navigation capabilities. Accurate calorie calculation based on the following measurements -- time, speed, distance, heart rate and power and personal information -- age, gender, height, weight, resting heart rate and max heart rate. Charge and transfer data from your watch with a low-profile USB charging dock that magnetically locks onto the back of the watch. Upload data to the Magellan Fitness website or directly to other leading fitness websites -- TrainingPeaks, MapMyFitness, Strava and more -- to view your activities on maps and get in-depth analysis of your workouts. 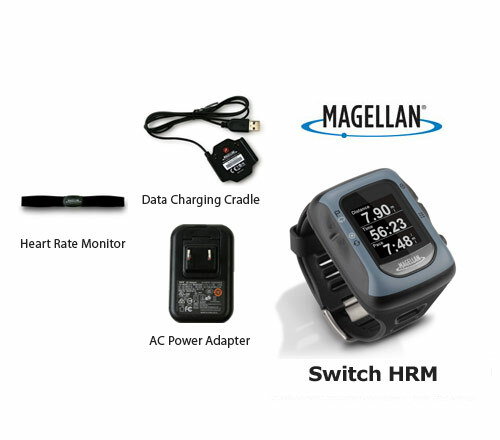 The Magellan SWITCH HRM has many exciting features for users of all types. You can extend the lifetime of your Magellan SWITCH HRM with the purchase of a FactoryOutletStore Factory Protection Plan. 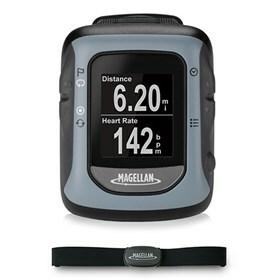 See the Magellan SWITCH HRM gallery images above for more product views. 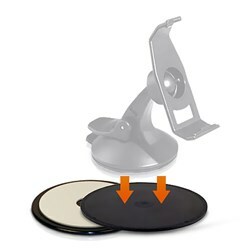 FactoryOutletStore stocks a full line of accessories like Dashboard Disk Mount for the Magellan SWITCH HRM. The Magellan SWITCH HRM is sold as a Brand New Unopened Item.